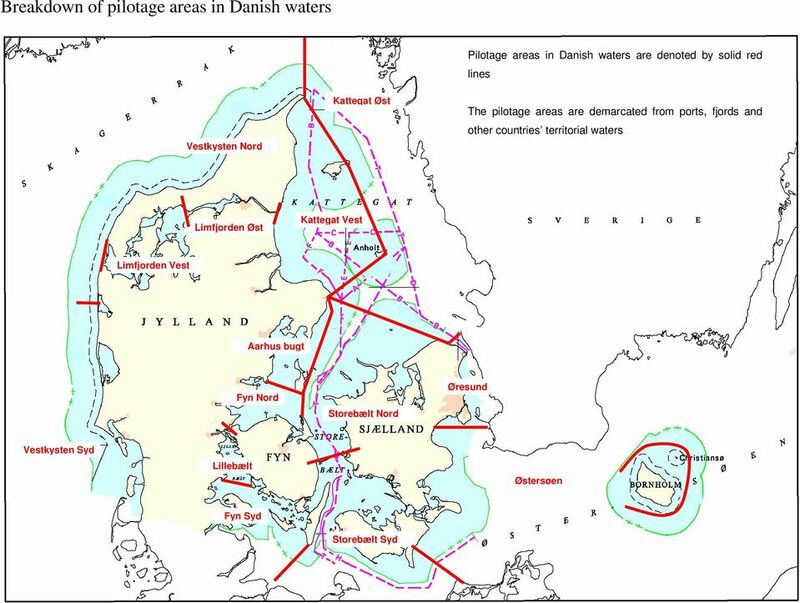 Download "Breakdown of pilotage areas in Danish waters"
3 A category breakdown of Danish ports, channels and bridges, etc. 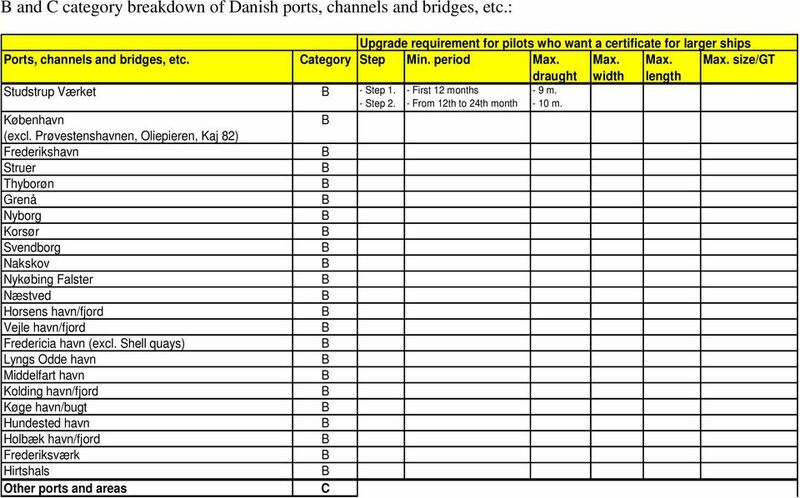 : Ports, channels and bridges, etc. Category Step Min. period Max. Max. Max. Max. size/gt Drogden gravede rende A - Step m m m. Aalborg A - Step 1. Mariager fjord with associated ports A - Step 1. Randers havn/fjord A - Step 1. Stigsnæs A - Step Step 4. - Step 5. Oddesundbroen A - Step 1. Fredericia havn (Shell quaykaj 41/42) A - Step From 24th to 36th month - First 3 months - From 3th to 6th month m. - 9 m m m m m m m m m m m m. - 9 m m m m m m m. - 65,000 GT. - 65,000 GT. - 85,000 GT ,000 GT. - >100,000 GT.